Warner Bros. has snapped up the feature rights for a new take on Dante’s Inferno. Deadline reports that the publisher has acquired the pitch from scribe Dwain Worrell, best known for 2010 low-budget zombie film, Walking the Dead – not to be confused by Robert Kirkman’s genre juggernaut. Based on Dante Alighieri’s 14th century epic poem, The Divine Comedy, Warner’s adaptation will depict the first third of the seminal tale in which our titular protagonist descends through the nine circles of Hell in order to rescue his beloved Beatrice. Siding with Virgil, the mythic tale begins on Easter weekend in the year 1300. There’s little-to-no information regarding the style or approach of WB’s modern take on an old classic, considering that an attempt to save Beatrice from the fiery pits of damnation didn’t factor into the original poem. Rather, this arc didn’t become a tenet of Dante’s Inferno until Giuseppe de Liguoro’s 1911 adaptation and EA’s middling video game of the same name. 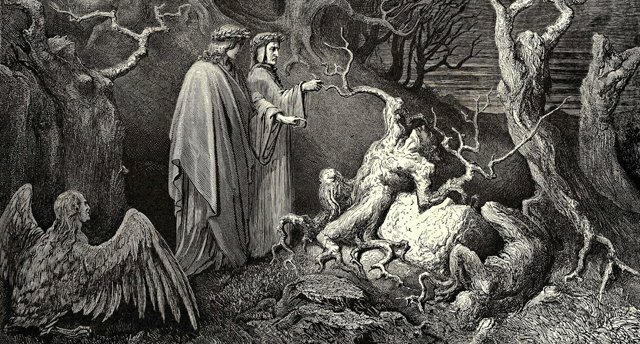 Citing franchise potential, Warner Bros. reportedly has one eye trained on the remaining two stages of The Divine Comedy – Purgatorio and Paradiso – and there’s a chance the studio may bring the lesser known tales to the big-screen should Dante’s Inferno prove a success. Granted, there’s still a long way to go before the publisher will gauge the possible future of the IP, and it’ll also face hefty competition along the way. Specifically, that competition will come in the form of Universal, who has plans for a Dante’s Inferno adaptation of their own. With Fede Alvarez attached to direct, this incarnation in particular will align itself more so with EA’s aforementioned video game, meaning that it’s likely Warner’s own take will side with Alighieri’s original poem.